The ocean's business is everybody's business. We owe every second breath to the vast expanses of water that cradle our planet, which produce more than 50% of the world's oxygen. The daily diet of three billion people is based on marine-based food. 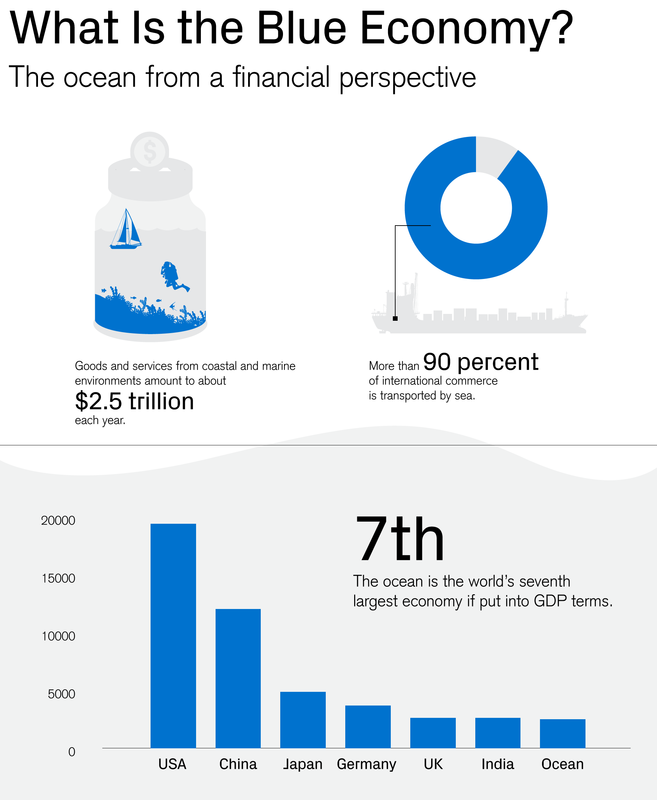 When put into GDP terms, the ocean is the world's seventh largest economy. And yet this life-supporting system filled with unprecedented economic opportunities is under serious threat. "In the last few years, we have noticed that impact investing – how to invest clients' assets in an impactful way while creating financial returns – has become a strong priority for our clients. And ocean conservation has been of particular importance," says Claudio de Sanctis, Head of Private Banking Europe at Credit Suisse. Together with Portugal-based Oceano Azul Foundation, Credit Suisse recently held its first "Impact Roundtable" on marine conservation. The conference aimed to spark a debate on the state of the oceans, to create a community of investors interested in working together to make a difference, and to raise awareness of investment opportunities in the blue economy, the newest arm of impact investing. "The opportunities for clients to invest in marine conservation and the blue economy will continue to grow alongside the growth in demand from those looking to help make a difference in the health of our oceans," said Marisa Drew, CEO Impact Advisory and Finance at Credit Suisse. "Credit Suisse has been in a leading position in the impact investing arena for over 15 years and our role in hosting a summit like this, which brings together those with capital and those with projects, provides a catalyst for further development of marine thematic investment opportunities." Two of the biggest ecological challenges for the ocean are overfishing and its pollution with plastics. "We estimate that there is as much as 150 million tons of plastic in the ocean. If we do not intervene now, by 2025 this amount will grow to 250 million tons. 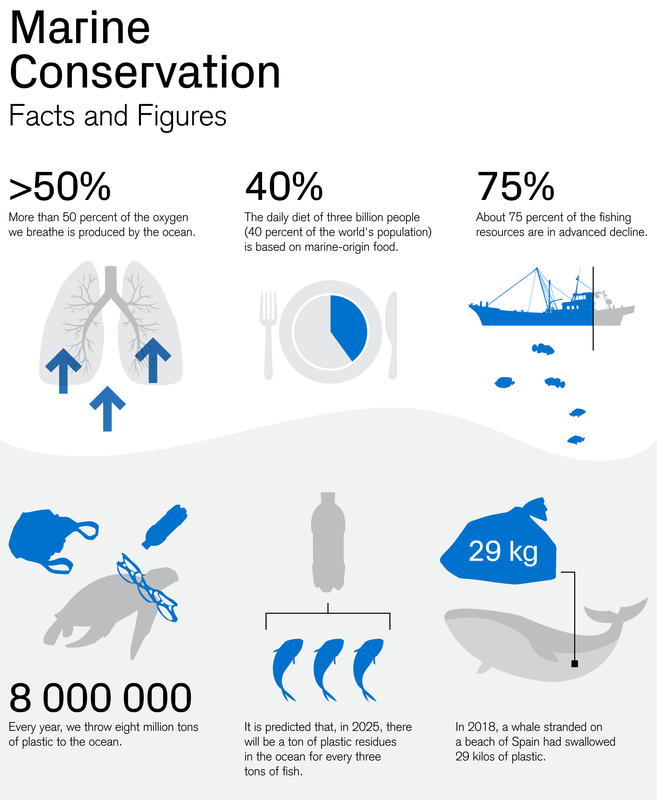 This means that by 2042, one kilogram of fish will equal one kilogram of plastic," says Prof. Martin Stuchtey, Founder and Managing Partner at SYSTEMIQ, a purpose-driven advisory and investment firm. The surplus of plastic is also highly unproductive from an economic point of view: "Today we need four times as much effort, four times as many fleets, four times as much time to catch the same amount of fish." He urged investors to look at the oceans as a very attractive, fast-growing, and sustainable business and market opportunity. Discussing potential opportunities on how to tackle the plastic crisis, Fabian Huwyler, Head of Green Solutions, Impact Advisory and Finance at Credit Suisse, pointed out: "It is important to take a holistic view to fully understand the drivers and potential solutions to the various challenges that we have in and around the ocean. It's not a one-off local problem, but a systemic one." He added: "To allow the blue economy to move in the right direction, we could scale and advance better and more readily recyclable materials. We could also support circular business models that support product packaging reduction. Or we could advance tracking and sorting technologies, which allow greater recycling." Numerous successful entrepreneurs with innovative business models that build on a sustainable management of the ocean were put in the spotlight at the roundtable. The fashion brand "Ecoalf," for example, recycles discarded fishing nets, plastic bottles and used tires from the bottom of the ocean and turns them into clothes, footwear, and accessories. Or the "I am Water" foundation, which works with coastal communities around the world to educate children about what is happening under the blue surface. Its founder, freediver and WEF Young Global Leader Hanli Prinsloo, is convinced that inspiring children about the beauty of the ocean is one major step in creating passion and understanding among communities living near the oceanfront that there is value in preserving a healthy ocean. The consensus of the participants at the roundtable was clear: While solutions to preserve the ocean exist, they are not yet at the scale needed to address the magnitude of the challenges. But blue economy is a market in the making with growing opportunities for investors who want to make an impact.